You are here: Home » Blog » Guidance and Advice » How not to fire train your staff in Scotland! How not to fire train your staff in Scotland! I saw this film clip of a fire safety training course from Turkey that quite clearly didn’t go to plan! It gave me food for thought and although it was almost disastrous it turned out for the best in the end! I think its ok to say that through humour we can learn and we can identify with the film. To me the key is learning and being safe. What did you learn or think about the film clip? 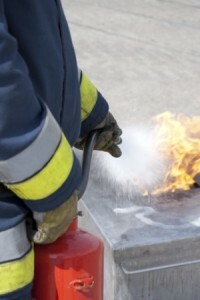 That fire training is a serious business and best done by professionals? Please leave me a comment or call us on 01415612735 to see how we can fire train you or your staff and make sure you safe at work or at home! Thanks again for joining me on our blog and i look forward to your thoughts. This entry was posted in Guidance and Advice and tagged extinguishers, Fire, funny, scotland, training, video. Bookmark the permalink.